Crews are on the scene of a late-night crash along I-695. 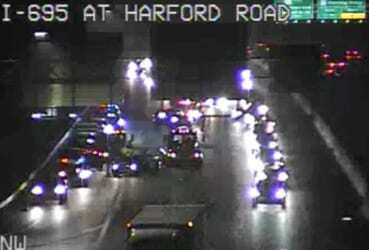 The crash was reported along the inner loop just prior to the Harford Road exit at about 11:30 p.m. on Thursday night. The three right lanes along the inner loop have been shut down. Mototists should expect delays in the area.